Forced induction sounds like a ferocious sergeant major burning do-it-or-die orders into the tortured minds of green recruits. 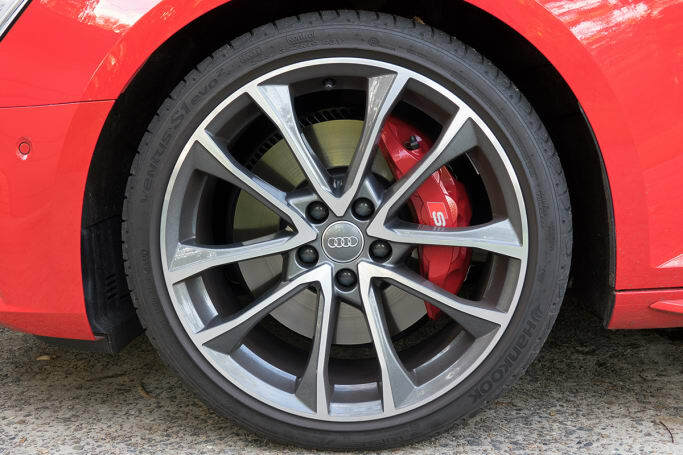 Happily, in the case of Audi's savage new S4, all the shouting is worth it, because it delivers lots of extra power and performance without paying a massive penalty at the bowser. 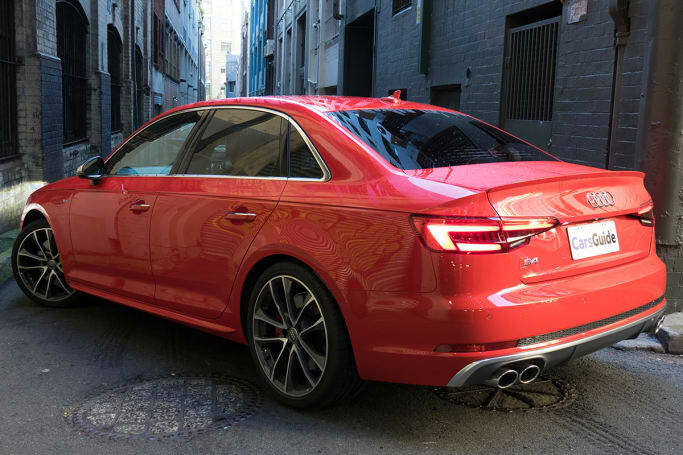 A huge fan of creating bigger bangs by pushing additional air and fuel into an engine's cylinders, Audi has changed the way that's achieved in its S4 performance sedan. 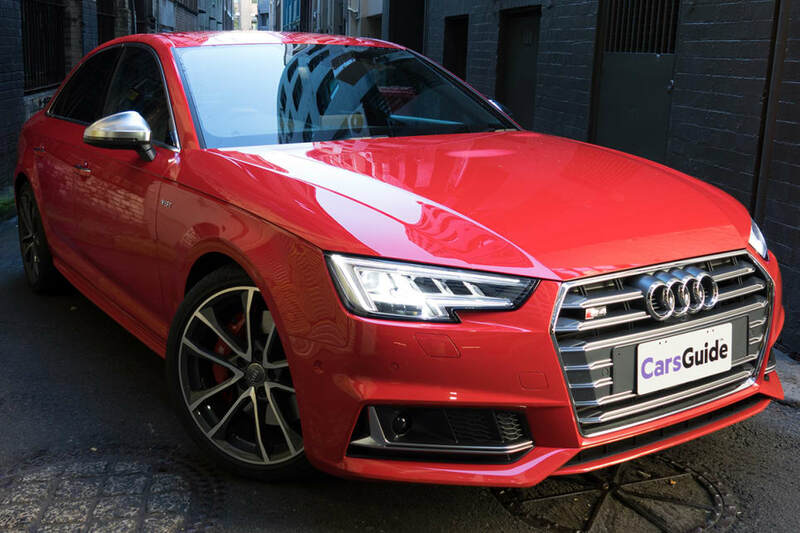 Launching the car in February this year, Audi Australia almost wore out the phrase 'all-new', so let there be no confusion, all of this sixth generation S4, is... new. Really new. Very new. And a key part of its maximum newness is the swap from a supercharged 3.0-litre petrol V6 engine, to a turbocharged 3.0-litre petrol V6. Why change from one kind of forced induction to another? It's all part of a grand and ingenious plan to make the S4 lighter, faster, more economical, and significantly cheaper. It almost sounds too good to be true. But is it? It's testament to Audi's unwavering design discipline that even the most un car-focused among us have few problems identifying its current range. Truly, it is a design language that stands out from the crowd, and not by being ugly. Some might moan about 'all Audis looking the same', but when even a humble four-door sedan is as sleek and charismatic as this one, who cares? When you're on to a good thing, stick with it. After three years as Audi's design chief, the charming and effusive Marc Lichte's influence is starting to make its presence felt, and the S4 represents a precise evolution of the brand's distinctive sculptural language. The S4's hexagonal 'single frame' grille sits above a prominent lip spoiler, and between angular headlights and large gill-like air intakes to create an aggressive expression, vaguely reminiscent of a Japanese Kabuki Warrior (although more German, obviously). Subtle strakes outline complex curves across the bonnet, which combine with long, uninterrupted character lines along the side of the car to reinforce an air of simple sophistication.